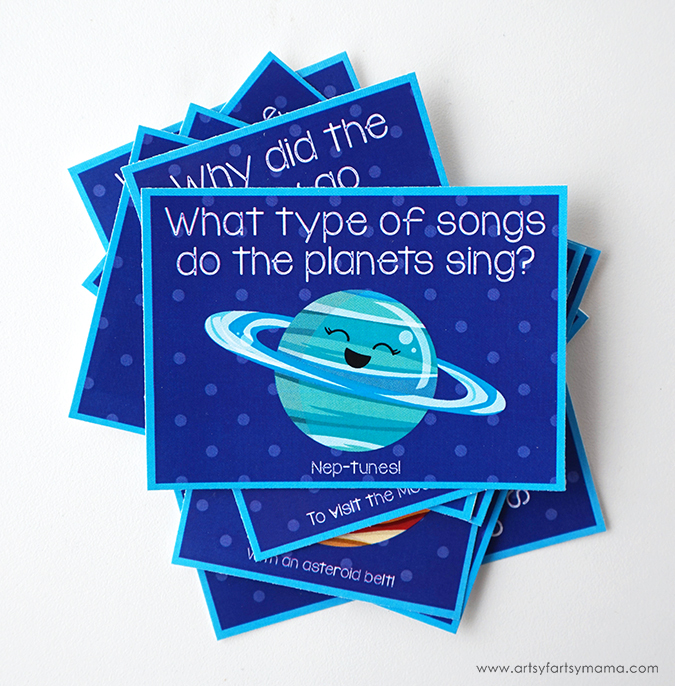 Free Printable Outer Space Jokes for kids that are out of this world! We are a bunch of jokesters at our house, and I can't resist a good pun. My daughter just had a fun field trip to the planetarium, which inspired me to make some Free Printable Outer Space Jokes to share with all of you. You can print them out and share them with your kids on a road trip, at the dinner table, or toss them in their lunch box to make them smile at school. 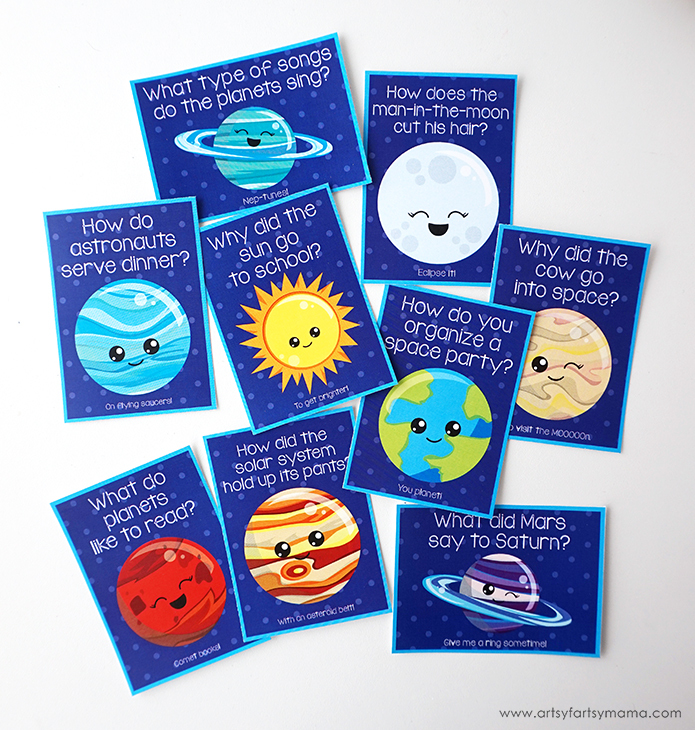 These also worked well in my husband's classroom to keep the kids entertained while learning about space. For best results, download and print the jokes on cardstock. Use a paper cutter or scissors to cut them out. 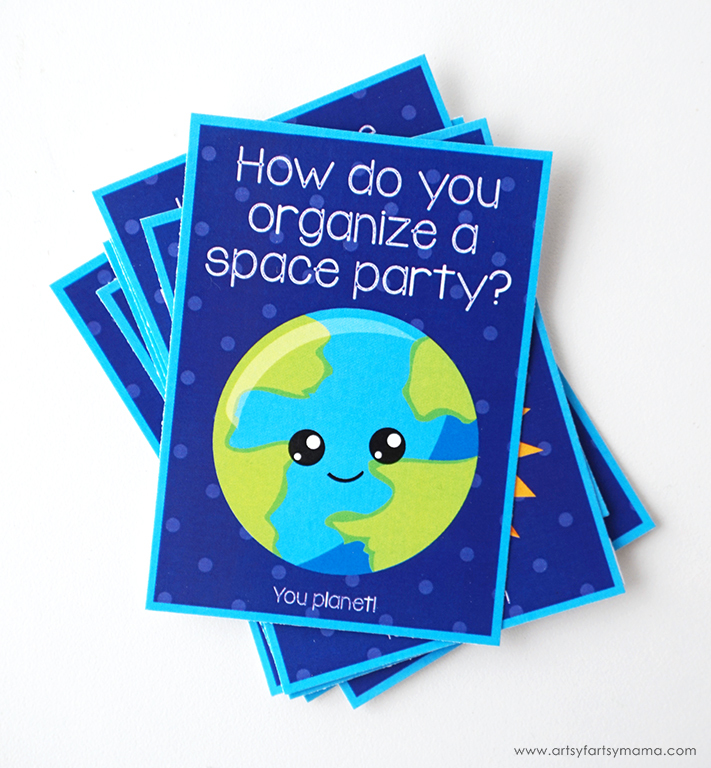 In the download, I've got 9 kid-friendly, space-themed jokes that can be put into a lunch box, or used to hand out at parties or the classroom. Kids will love hearing and repeating the jokes with everyone they see! What's your favorite space joke? HELP! I have tried to print these several times but every time it shows good on the screen and then shrinks and prints on a wallet size in the middle of the paper??? Please let me know what I can do. Thanks!